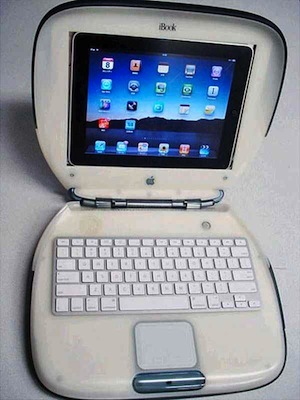 Remember the old clamshell iBook? The precursor to the MacBook, the weird looking multi-colored iBook was large, bulbous, and…. unique. Well, now you can use that very iBook as an iPad stand if you really want to, maybe hollow out the screen and stick it in there. A bit of the old and new, all in one. Looks interesting, huh? Interesting idea, anyway. This is quite the unique iPad stand: set an iPad into an old clamshell iBook in place of the devices screen. It’d be even cooler if the keyboard worked, but that would require quite a bit of effort, like digging out the keyboard and embedding a Bluetooth keyboard that is synced for use with the iPad for typing. It’s possible, but it wouldn’t be easy. 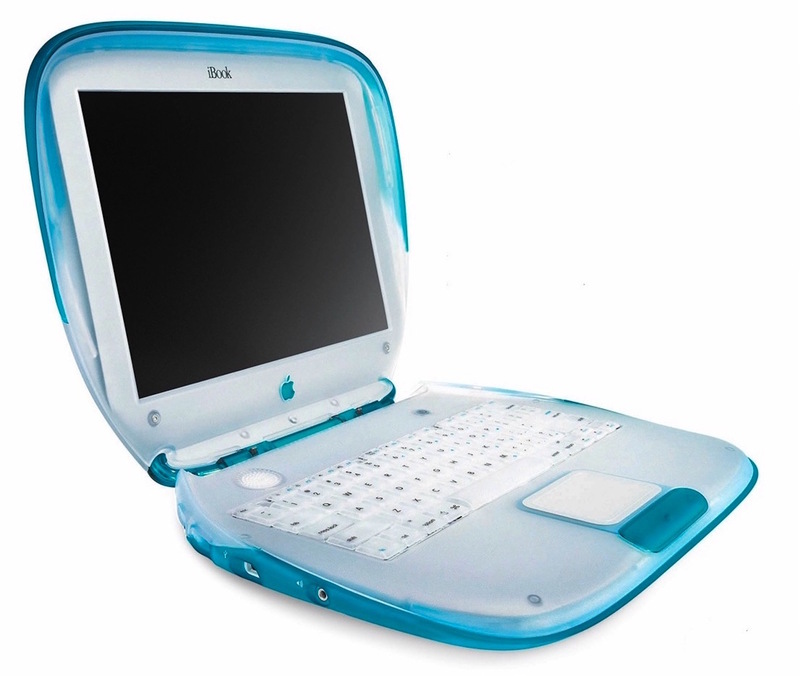 Now we’re getting nostalgic about the Bondi Blue clamshell iBook, what an interesting Mac that was. Designed by Jony Ive, perhaps not one of the most beautiful creations, but it stood out, and matched the iMac that was also available in Bondi Blue around the same time. What a Mac. Thanks for the submission Dana. It’s not quite as revolutionary as cats as iPad stands, but it is a bit of Apple nostalgia nonetheless. Look like the keyboard is a new bluetooth keyboard, than it should be working. Replace the trackpad by the magick trackpad and your done. My mom still uses my old Blueberry iBook, and that doesn’t look much like the iBook keyboard in the photo. I have a load of ebooks on my ipad. Now I have bought an android phone. Maybe there is a routine that turns ebook into PDF?? Why did you buy an Android phone David? Get an iPhone, problem solved! You should use Calibre to manage your ebooks…will auto convert your books based on what its sending the book to what device.